Central Vermont resorts are full-service properties offering accommodations, dining, and luxury amenities in the most beautiful mountains, valleys, and lakeside areas of this beautiful state. Accommodations at resorts in Central VT, which includes the towns of Killington, Montpelier, and Rutland, can range from spacious guest rooms to luxurious suites and apartments with fireplaces. Resorts offer comfort, convenience, and easy access to year-round nearby activities like skiing, snowmobiling and other winter sports; golf, fishing, hunting, and boating in the summer; leaf-peeking in the fall; and fine dining, shopping, and cultural activities year-round. Many are set up for children and families, with children’s day camps and day care. 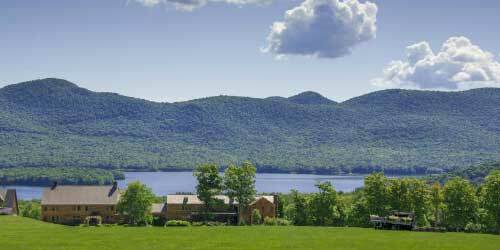 In the hills of Vermont on a pristine lake stands Lake Morey Resort. The four season vacation paradise features 130 well -appointed guest rooms and suites, most with stunning views of the lake. There are large rooms and multi-room suites for families. In summer, the lake is for swimming and boating. In the winter it’s skating, pond hockey and ice fishing. The summer recreation staff organizes daily guest activities and the Resort offers a full array of seasonal recreational amenities. Enjoy 18 holes on the championship golf course, fine dining, and evening entertainment or simply sit and catch the plaintive call of the loon. Picturesque and nature blessed, Lake Morey Resort is the perfect setting for weddings, conferences, family reunions and that once in a lifetime vacation. 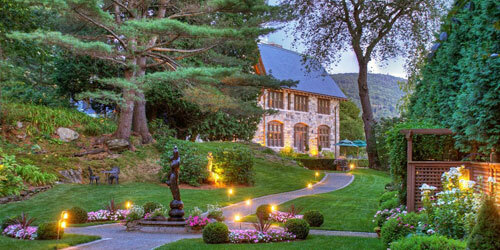 This magnificent lodging is a gift of naturalist and philanthropist Laurence Rockefeller. His vision preserved historic elements while upgrading the facilities and amenities to enjoy. 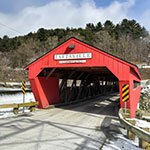 Set in covered bridge country, the scenic New England countryside holds a world of pleasures: an authentic and charming Main Street with restaurants, boutiques, the Woodstock Athletic Club, and places to walk, sit and relax. Take to the hiking trails, play golf, fly fish, cross-country ski, snowshoe, or head out for the alpine ski areas that abound nearby. Your room features handmade furniture, high-speed internet, plush terry robes, and Spa brand bathroom amenities. Savor the AAA four diamond restaurant and others on site and nearby and know your culinary desires will be well cared for. Built in 1840 as a Victorian summer hotel, this historic and charming resort is one of the few remaining Vermont country ins to be open year-round. Filled with authentic and original touches, it’s set in the lakes region with the scenic splendor and Yankee hospitality favored by such luminaries as Calvin Coolidge, Henry Ford, Thomas Edison and other historic figures. 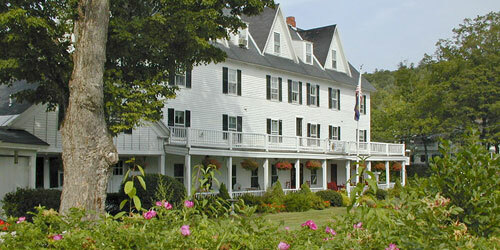 The Inn features 23 rooms, a family suite and 7 condos, some with private Jacuzzi and fireplace. There’s a swimming pool , outdoor Jacuzzi, tennis, a dock with canoes and row boats and delicious dining in the on-site restaurant. 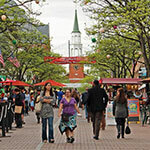 You’re minutes from great skiing and golf, hiking, biking and horseback riding. 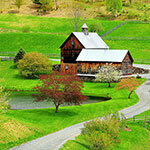 An ideal location for family reunions, conferences and weddings. 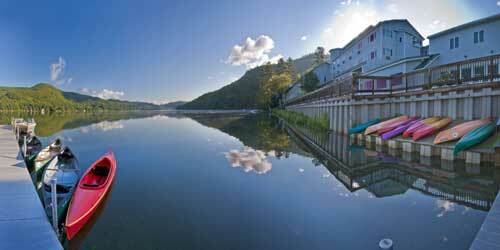 Mountain Top Inn & Resort is central Vermont’s premiere year-round destination resort. A short drive from Killington, set amidst 700 private acres and overlooking the Green Mountain National Forest and a 740 acre lake, the view alone is worth the visit. Once here you will find a wide variety of activities to keep you busy (horseback riding, boating, fishing, hiking disc golf, xc-skiing, snowshoeing, horse drawn sleigh rides & more) or simply relax on our private beach, by the pool or in our brand new spa. Classic & luxury lodge rooms & suites, luxury cabins & guest houses will provide you the perfect choice of accommodations. 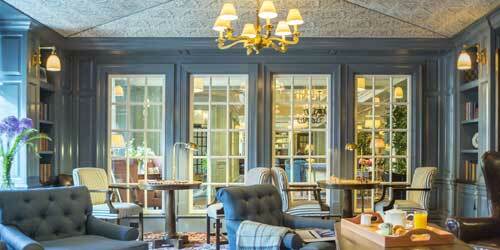 Enjoy creative cuisine in the dining room, tavern or in warm months on the terrace. You might come for the view, but you’ll stay for the experience. Castle Hill Resort and Spa is a member of the prestigious Small Luxury Hotels Of The World, Historic Hotels Of America, and is also listed on the National Register of Historic Places. Luxury reigns supreme here at our elegant, full-service Vermont resort which features a unique collection of individually decorated guest rooms. Discerning travelers will feel pampered in the 10 Castle Hill rooms which blend classic elegance with modern technology. Guests of the Castle Hill Resort & Spa may also opt for our Resort Homes which feature magnificent views, elegantly appointed accommodations, state-of-the-art amenities, and are quite spacious for those who want more room to relax.